Export campaign metric information for all your campaigns. This export provides high-level stats for your campaign in a digestible spreadsheet. Select one or more campaigns for your export or export all the campaign metrics by date range. 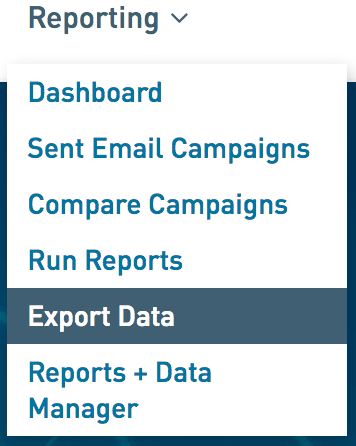 The campaign metrics export is excellent for reviewing high-level stats for your campaigns over time. Follow these instructions to export your campaign metric data for one or more campaigns. 2. Under section 1, from the dropdown select Metrics by Campaign. Then click I'm Done. The date range will default to the date of campaign send date for the first campaign selected to the last date a response was received for the most recent campaign selected. This is an excellent export for doing year-over-year reviews of your campaign metrics. 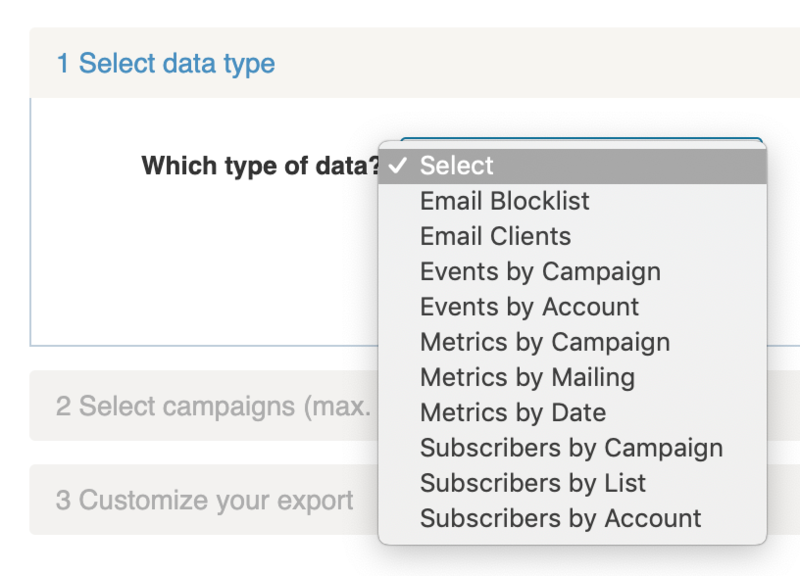 You can export all your campaign metric data from WordFly to review in one spreadsheet. 2. Under section 1, from the dropdown select Metrics by Date. Then click I'm Done. To export all your metrics for all campaigns sent you must adjust the date range start date to begin when your first campaign was sent. This export is particularly helpful for CRM integrated customers reviewing triggered campaign metrics. The export allows you to see the metrics for each mailing of a triggered campaign instead of the campaign as a whole. 2. Under section 1, from the dropdown select Metrics by Mailing. Then click I'm Done.